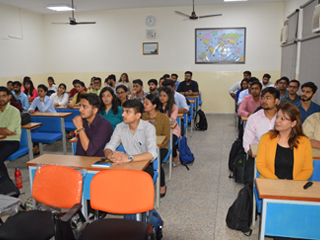 JIMS organised guest session on 25th July 2018 for PGDM students (2018-20) Batch for section A&C on “Goal setting & Corporate Expectation” by Ms. Radhika Gupta, Founder CEO – Crystal Triangle. She delineated properly the facts that differentiate a person from others. She emphasised on being the 1% champions instead of 99% average! 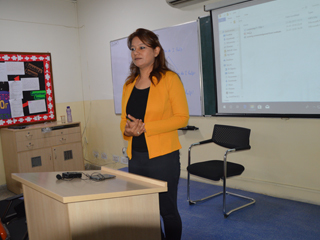 The students were told about those hardships that are faced by people in business and also, the ways for overcoming them. 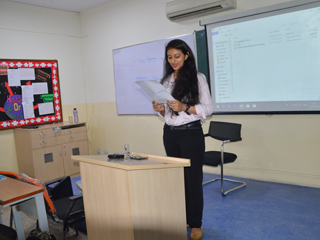 The students were given key factors for developing a clear objective and formulate action plans for success. 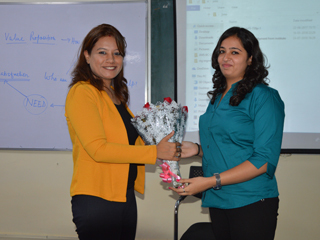 The students realised the things that motivate them and understood that motivation is the fuel that keeps us running. The session ended with Q&A. Students asked questions related to entrepreneurship & other career options.